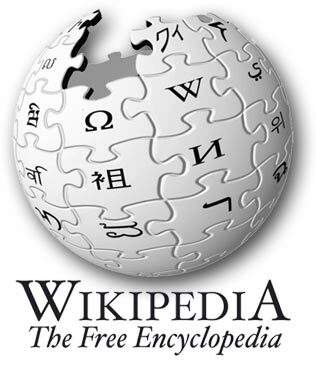 Silencing its critics once again, Wikipedia met its intended goal of raising $16M in style. And this fundraising was characterized by the collective power of individual netizens, nearly 650,000 of them, who donated generously to Wikimedia foundation. On November 15 2010, Wikipedia announced its ambitious fundraising goal of $16 million to help fund its burgeoning operating budget. All of you must have noticed the *really* big banner ads on Wikipedia running for the past few months with a request from founder Jimmy Wales. Well, they went on to achieve their fundraising goal by Jan1 2011, making it probably the the shortest ever fundraising done by Wikipedia. Over 500,000 donations to the Wikimedia Foundation. Almost 130,000 donations to the local Wikimedia chapters world wide. Two of the largest fundraising days in Wikipedia history. Average donation size: about $22. Jimmy Wales ends his message with a lighter, inspiring note where he adds, "This fundraiser had all the ingredients of what we love about Wikimedia projects: people come together, contribute what they have, and together we do something amazing. The contribution of a technology worker in Mumbai, India joins with the contribution of a stock broker from London, and of a student in Moscow, and the result is that we're able to sustain and support this joint endeavor for another year." With nearly 400 million monthly visitors, Wikipedia is the 5th most visited website in the world. It is also one of the most efficient one also according to Wales. Wikipedia's staff strength, infrastructure and budget are just a fraction of each of the top 10 websites. "Commerce is fine. Advertising is not evil. But it doesn't belong here. Not in Wikipedia. Wikipedia is something special. It is like a library or a public park." I can't do anything but agree to that statement of Jimmy Wales. Wikipedia is truly special. Those who have generously donated to Wikipedia might want to consider supporting Free Software Foundation(FSF) as well. Check out the FSF banner on the sidebar or go directly to the link.